I would so like to thank Sid Korpi for writing such a heartfelt, uniquely empathic and sensitive book. I have always loved animals. (My family inherited a little chihuahua I grew up with). I can honestly say, however, that after reading this book, I will never be able to look at someone with their pet again without feeling even deeper feelings of affection for their precious creatures. I believe the book in effect touched my humanity and made me a better person for having read it. I think it would do the same for you. Personally I feel that Part Four: Memoralizing Methods was probably the most important section of the book. HOW DO I LOVE THEE? NUMEROUS WAYS TO HONOR YOUR BELOVED ANIMAL COMPANION’S LIFE is a compilation of suggested ideas Korpi collected to help people memorialize and honor their pets. There are over sixty (60) suggestions offered here from writing poems, songs, stories and books about your pet to drawing or painting pictures of your pet to embroidering a pillow with a likeness of your pet to joining pet loss support groups and including your pet in your daily prayers to donating to an animal rescue organization in your pet’s name, volunteering in animal shelters, as a foster family for no-kill pet rescue organizations, etc. Korpi even includes a list of songs inspired somehow by our animal companions, my favorite being “Mr Bo Jangles” by the Nitty Gritty Dirt Band: “The dog up and died. he up and died. And after twenty years, he still grieves.” Tenderly noted also are the lyrics from “Holly’s Favorite Things” a song submitted by Erika Thorne of Minneapolis, Minnesota. The concluding sections of the book are Parts Five, Six and Seven: All Things Considered, The Role of Philosophy, Religion and Spirituality in Healing and Moving On After Loss. There is SO MUCH in this book. It is so well researched. There are numerous submitted stories lovingly included with photographs of many precious companion animals–dogs, cats,horses, rabbits, parakeets, etc.–(now deceased) attached. It was so touching to see how deeply these pet owners loved their companion animals. I found myself in tears many times. The human-animal bond is indeed a very special one no person should take lightly. I therefore strongly recommend this book to all–pet owners and non pet owners alike. I read “Good Grief” and I wanted to thank you for writing such a beautiful book! It’s been a year since my dog passed away and I still crave for him and I still get depressed. After reading your book I felt quite normal, there are many like me out there. It was a relief and it brought some peace to my mind. Good morning! I want to say THANK YOU for the wonderful book you’ve written: Good Grief: Finding Peace After Pet Loss. I am presently taking a Pet-Loss Grief Counseling course through American Institute of Health Care Professionals, Inc. Your book was one of the recommended books for the class. I’m truly loving it! … Your book has allowed me to become more open to the “messages” and the presence of the gift. I guess everything happens for a reason. I was meant to read your book! Another blessing. Trying to complete your book, which means my last exam to become a Pet Loss GC…. I love everything about your book … the stories, your candid comments and opening up to your own sorrow, etc. I can’t imagine anyone not getting something wonderful out of your book! The test I’m taking on your book is very difficult, but I love everything about it —Karin J.
Hi Sid — Dr. Kris Lecakes Haley from Emerson Theological Institute here — I just took a look at your book and you really did a phenomenal job on incredibly important topic! I have been searching for a comprehensive text that contains all of the critical components of loss and you hit every single one. I would like to submit your book to the school (Emerson) for consideration as one of the texts we use for the Bereavement component of our Animal Chaplain program. … Really exceptional job. We’d like to give your book a try to see if it is a good fit for our Bereavement Module of the Animal Chaplain program. You write with wonderful wit and spirit but you also capture the truest spiritual principles we seek to impart. Definitely inspired text! I read most of your book [the same night I got it]—couldn’t put it down, and I’ve already lent it to a friend. I should definitely get more in the future. It’s a great resource. It even helped with some more grieving I needed to do for my parents. Recently I was contacted by author and fellow Pet/Animal Chaplain Sid Korpi. After she found our Pet Chaplains website www.petchaplains.com.au. As a result of this contact I was made aware of a most helpful and heart rendering book she has published “Good Grief” in it she shares not only her experience dealing with tragedy but also a range of other peoples experiences with the effect of Loss and over coming the loneliness. Finding the void being replaced and the experience of many pet owners having contact with their deceased pet from beyond the veil. This book I highly recommend; not only for those of you that have the misfortune to be coping with the grieving process at present. But for anyone who has a pet or is close to another that has an animal in their lives. This book is entertaining as well as powerful enough to pass on to anyone the tools and support strategies required to assist others that maybe going though the stress of lifetime separation from a loved animal whether pet or workmate. I have been interested in all things Spiritual since I had a life changing experience and as a result have been gifted with, among other things , the ability to tell stories and to commit them to paper. “The Awakening” is one such title others are “The Tung Fu Document”, “The Reluctant Millionaire”, “The Apartment” Also I have been given many poems and other ideas that are for the benefit of mankind. I have been a Minister of a Spiritual Church and from time to time fill in as a Guest minister for other Churches that require assistance. I also have started a Pet Chaplains service where people can go and gain some comfort for themselves when having to deal with the grief that is associated with the loss or impending loss of a pet or animal companion. “Good Grief: Finding Peace After Pet Loss” by animal chaplain/author Sid Korpi has won its third literary award, having been named “The Best Book of the Year” in the self-help category by Premier Book Awards. • How to move on after your loss and love again.About the author: Sid Korpi has combined her decades of varied professional experience—as an editor, writer, journalist, English teacher, actor, ordained minister/animal chaplain and member of the Association of Pet Loss and Bereavement—with her lifelong devotion to the animal companions who have blessed and shared her life in creating Good Grief: Finding Peace After Pet Loss. Surviving a “tsunami of loss” in her own life led to her discovery of spiritual truths that brought her strength and facilitated her heart’s healing. She felt compelled to share these things with others who suffer—often in isolation—from the passing on of their very dearest nonhuman friends, their pets. She lives in Minneapolis, Minnesota, with her husband Anthony Kaczor and their eight rescued animal friends/family members: Blanche, Ambrose, Keely and Oliver (Westies); Giles and Xander (cats); and Atticus and Scout (finches). Contact her through her website: http://www.goodgriefpetloss.com or at 612-822-0888. I have to thank you, Sid, for this book. I heard about it from Sarah Whitman (dogfriendlycompanies.com) prior to losing my “right arm” Delta Therapy dog, TinkerBelle, on August 5, 2010. I knew our days were limited so I bought it to read after TinkerBelle passed. The stories had so many comments and thoughts I had felt myself that I felt right at home with it and finished it in several evenings. I only wish I had started reading it before losing my dear angel, it would have helped in those last desperate moments. I will recommend this book to anyone who is going through loss of a dear “furry child”. In fact, a friend of mine lost her dog three weeks after mine and I recommended it to her. Thank you for the light at the end of a very dark tunnel. Thank you again for your help to me and my remaining therapy dog, Spanky. By reading your book I have been able to be more present for him as I am sure he is confused without his older sister (cousin). (He came from the same family tree). Elizabeth Sadler is a psychotherapist who does grief work, regarding humans and animals. It’s been nine months since I had to put my 17 year old perpetual puppy Teddy down. I still miss him. Part of me thinks ‘oh, c’mon, it’s been 9 months, for heaven sakes, get over it’. The other part of me, that nurturing, caring part of myself, understands that grief comes in waves and it takes time to integrate the loss of a pet into your life. There are days on end when I’m fine, and then seeing a UPS truck pass by makes me catch my breath and my eyes may water. The UPS truck was Teddy’s archnemesis; I believe his deepest desire was to grab one in his teeth and shake it until it died! Or when I realize I can actually use my chocolate mint since Teddy is no longer here to lift his leg on it – a bittersweet moment. I have learned I do not have to suffer this grief alone. 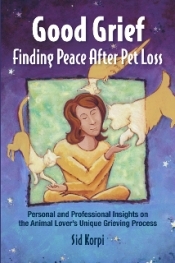 One of the resources I have used is pet chaplain Sid Korpi’s book Good Grief: Finding Peace After Pet Loss: Personal and Professional Insights on the Animal Lover’s Unique Grieving Process. Grieving the loss of a pet is different from grieving the loss of a human, and it is important when you are experiencing that grief you are surrounded by people and resources who understand that. The last thing I need to hear is “Teddy was only a dog”. Sid’s natural gift for writing makes this book easy to read and easy to connect with. It is not written from a clinical perspective, but from a personal perspective. Sid also shares stories of others who have experienced grief over the loss of a pet. If you know someone who has experienced grieving the loss of a pet, this book makes a beautiful gift. I came to know [Sid Korpi] because of her wonderful book “Good Grief: Finding Peace After Pet Loss“. She was inspired to write this book after the loss of her beloved Westie Ludwig. Along with addressing topics in her book for the All-Imortant Grieving Process like: “The Price of Pain Avoidance”, “Knowing What to Expect Can Help”, ”The Euthanasia Process” or “When Other People Let You Down”, the book is also filled some really wonderful Submitted Stories. Some make you smile, some make you cry, some both. But what it does is to let you know you’re not alone in your feelings. By the end of this book, you will begin the process of healing. You’re not alone and you’re not crazy for feeling the way you do. Thank you Sid for taking the time to help us mere humans get through, for some of us, what is the most profound loss we have ever felt. I highly recommend this book! Move on after loss and love again. The book addresses all aspects of the grieving process, from understanding what to expect to how to move on after loss. I particularly enjoyed the two sections Korpi presents about afterlife connections. She shares stories of humans and animals and how they’ve connected with their surviving loved ones after their deaths. Some of the stories are taken from her own life, others come from a wide variety of animal lovers from around the world, and all are comforting and will reassure the reader that the love betwen humans and their beloved animal companions truly is eternal. Korpi also offers suggestions on how we can feel and encourage this connection with our departed loved ones. The section on memorializing methods offers many wonderful suggestions on how to remember a pet in both public and private ways, stressing that this is an important part of the grieving process. Korpi addresses the role of spirituality, philosophy and religion in healing from pet loss by sharing the different viewpoints, including some from the perspectives of various religious leaders. The book contains an impressive bibliography and grief support resource section. What makes this book different from other pet loss books is Korpi’s compassion, empathy and sometimes, even a gentle sense of humor. Rather than feeling like a book written by a counselor, reading Good Grief feels like a conversation with a supportive, caring friend. It certainly provided comfort for my own grieving heart. For more information about Sid Korpi and her book, please visit her website. Good Grief: Finding Peace After Pet Loss was awarded a bronze medal in the IPPY (Independent Publishers Book Awards) competition “Celebrating Excellence in Independent Publishing” in the Animals/Pets category in May 2010. With this book, Sid Korpi helps us better understand, prepare for, and cope with the loss of our animal companions. She recognizes that our animal companions are often very truly our best friends and gives us permission (if we need it) to fully feel and share our sadness over their losses. Korpi helps us understand that animals see their passing as a natural transformation, not an abrupt ending, and encourages us to recognize the “coincidences” that occur after an animal’s passing as signs that they’re checking in with us. “Good Grief” is filled with wonderful stories to help us celebrate our animal companions’ lives, memorialize them as they well deserve, and truly feel the deep emotions they bring out in us. Easily readable and very thorough, this book is a “must read” for all who share their lives with animals. After experiencing the loss of her cherished Westie, Ludwig, Sid decided to channel her grief into the creation of a fact-filled resource that would gently help others cope with their own losses. The result was her comprehensive collection of stories, personal accounts, and professional advice: Good Grief: Finding Peace After Pet Loss. What’s so wonderful about Sid’s book is that she not only understands the searing emotional pangs of the often-lonely grieving process, but she also offers both consolation and coping techniques that can illuminate the tear-stained path to quiet acceptance and to an openness to love again. • Reader Views Review of Good Grief: Finding Peace After Pet LossReviewed by Carol Hoyer, PhD, for Reader Views (01/10)Needless to say there are many out there that do not understand how the loss of a pet can cause depression or how family members grieve. What they don’t understand is that families and individuals bond with their pets and consider them part of their family. There will be times in our lives where we will have to put a pet down due to critical health issues or they have just lived their lives to the fullest. Having experienced this with two of my pets recently, I can honestly say that I thought I could handle it; however, my heart told me otherwise. The author states that each of us is unique in the way we grieve for our family members and our pets. How many of us have a family member who loves us unconditionally and are there for us twenty-four/seven? Who can you touch for just a second and feel better? This is a book that needed to be written long ago. The author provides steps in handling the grief of a pet’s loss, how to handle those who are insensitive to our grief, and gives wonderful stories about individuals who have lost a pet. As the author does, I feel it is very important for us to recognize our feelings, learn to express them and memorialize our pet loss. This is a natural process. I liked the fact that “Good Grief: Finding Peace After Pet Loss” by Sid Korpi was easy to read and relate to. No one was condemning us for being dramatic. This book gives pet owners permission to express our feelings and really provided emotional support. As one reads this book, they will find it is having a conversation with other pet owners. But most importantly it validates our feelings. January 10, 2010: If you’ve lost a pet or know someone who has…this is the book for you. It isn’t easy when one losses a fur member of their household. Far too many people view “pets” as extentions, accessories—so when a friend or loved one loses theirs the understanding of the pain that person is suffering might be lost on others. This book can show the one who’s lost…they are not alone. Not in their feelings or their grief and that there is a light on the other side of the pain. Sid drew from not only her own experiences but the experiences of others in creating Good Grief. She not only offers a way to deal with the grief, she shows you that you will get to the other side. If you have a friend or loved one that is suffering—buy this book for them.. then read it for yourself before sharing it with them. Maybe it will help you—help someone you love. January 10, 2010: There are so many touching, inspring stories and comforting words to help ease the loss; I am so glad that I have this book! Dealing with pet loss was a very difficult hurdle for us. Sid’s book has given a lot of insight to dealing with pet loss, it also contains great things to do in remembrance of our furry four-legged babies and how to honor them. It’s a great book and all pet owners should read it. Good Grief is that rare pet-loss book that offers practical insights and professional advice for dealing with the grieving process from a number of perspectives. The book is well-organized into sections that touch on issues like death and dying, human reactions, memorializing and moving on, but I think the real strength of this book is the opportunity to read the personal stories included in the book. Good Grief allows people to express their grief without coming across as sappy or trite. These are real people sharing their feelings about their pets, and a lot of the stories are cathartic, feel emotionally mature and thoughtful, and therefore are truly helpful to others. I also appreciate the spiritual dimensions explored in this book. Our culture has been particularly bad about acknowledging the pain of pet loss. Good Grief can help break the silence around how we acknowledge pet loss as a society, and promote greater understanding that pets are close family members and that their death can be difficult. I think Good Grief, and its approach to the death and grieving experience, can teach us a lot about the life cycle as a whole. 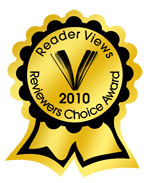 This was from an Amazon.com Review—On list of Top Books About Grief compiled by Cynthia Danute Cekauskas, LCSW. Sid Korpi has a gift for writing. The book is a testament to Sid’s abilities as an author and an ordained minister/animal chaplain to reap the very personal experiences of others in dealing with their grief in a way that allows us to share the wisdom and relief that can come of allowing ourselves to grieve (whether for our animal companion or for any other loss in our lives). Interspersed with these stories of others, are educational and instructional articles to help us prepare for the inevitable passing of the animals in our care, and guides us on what to expect (if we haven’t experienced it before) or validates what we have experienced that culturally we don’t discuss very often. I finished reading Sid Korpi’s book yesterday and must say that I wished there was more to read. I have read many of the pet loss books available but hthis one was one of the best I have read. I lilked that it was not clinical as so many of them have been. It was presented in a very down-to-earth and “real” way. this is the way we feel at this time of great loss. I thank Sid for such a great book. It will be one I re-read often as the stories are so very heartwarming even though they are heartbreaking. Sid Korpi’s “Good Grief: Finding Peace After Pet Loss” should be on every animal lovers book shelf because if we haven’t already, each of us will go through the grief of losing a beloved animal companion. “Good Grief” not only tells readers that it’s okay to grieve but walks us through various ways we can memorialize our animals and what they would want for us. After Sid was a guest on my radio program I had a person who’d lost a pet in the past and who had said they would never get another pet because they didn’t want to go through that pain again come to our local shelter. They said they’d heard the program and now looked at their feelings in a whole new way and realized that their previous pet would have wanted them to share their life and love with a new pet. They ended up adopting an older cat and at last check were extremely happy with their new companion who in their words “seems to know she was sent here to heal us from that long ago hurt and make our days bright again.” If “Good Grief” can do that with just a radio interview imagine what it can do when you read the whole book! “Good Grief” will make you laugh, cry, and remember all those animal companions you’ve loved and lost. It will allow you to move on but never forget what each has done for you. I’d recommend “Good Grief” to every animal lover. It’s about time someone took on this subject and guided animal lovers through the painful, devastating and often isolating process of losing an animal companion. Korpi’s insight obviously comes from years of experience and careful research. She respectfully and mindfully includes all angles and aspects; all perspectives and views to create a book that will appeal to the masses and help start a revolution to change the way society sees the relationship between animals and humans. What an amazing gift to give to someone going through this life-changing experience! I’ve had the pleasure of reading a fabulous book, Good Grief,Finding Peace After Pet Loss, written by Sid Korpi. She provides Personal and Professional insights on the animal’s lover’s unique grieving process. There are touching submitted stories throughout the book that bring out the true reality of the grief people do go through when they lose a beloved pet. I’d recommend any pet lover to get this book to help you either prepare for the loss of a pet or help you through a difficult time after you’ve had to say goodbye. It is very insightful, touching and gives you the tools you need to move on. Just finished the book last night – so wonderful in so many ways. Your book is SO rich —What a gift to pet people! I am so impressed with your writing technique. Your book is amazing. If it’s OK with you, I would like to promote it in my next newsletter. My husband, Don, is now reading it and he mentioned that he appreciates the way you show respect for companion animals in everyone’s lives. Thank you so very much for writing a very needed book and for including my precious Chancey and Digby. 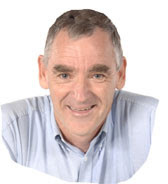 I have recommended your book to others I have conversed with from the Petloss.com site. So once again, thank you for such a great book. If I were to use one word to describe your book, it would be “thorough.” You’ve examined virtually every aspect of pet loss, not only from your own perspective but from that of many other bereaved animal lovers as well. I especially appreciate your emphasis on maintaining the bond we have with our animals, long after their spirits have left their earthly bodies, along with your suggestions for all the different and creative ways we can memorialize them and carry them with us in our hearts. …I think it’s a wonderful contribution to the pet loss literature and one that I will be pleased to recommend to my clients and colleagues. I’m sure it will help many people better understand the strength and power of the human-animal bond and the deep sense of loss that is felt when a beloved animal companion has died. … You’ll find your title now listed on the Articles ~ Columns ~ Books page of my Grief Healing Web site (under the Books about Pet Loss category) as one that I’ve read and personally recommend. “You are very soothing, and I got a lot from your calm and compassionate discussion! I would LOVE to meet you in person. I have too many books to read as it is. I don’t have time for another one so I was just browsing thru your book. I had a hard time putting it down. I was crying and laughing. What a fun, inspirational book it is. I will try to read it now cover to cover. Thanks. Insightful and well researched and thought out. I love it. … I’m thinking that it really is not about pet loss. It’s a book about life. —Carol Johnson, St. Paul, Minn. Thanks so much! I read some of it last night…and cried…so very touching and endearing. Love it! Received your book last week and it is wonderful. Thanks so much for using my Thomas story. It still makes me cry but with happy tears as he has been remembered in such a great book. You did a great job. I know this book will be an inspiration to all people who have to lose their fur babies. Congratulations again!!! I think anyone who has a pet should read this book. I’m going to tell all my animal lover friends about it as they all have to deal with losing a little furry best friend. I wanted to send you an email when I finished reading your book a few weeks ago, but I think this is the perfect time now. I loved your book. I loved the stories, the pictures, the practical suggestions and your personal reflections, too. It is a very beautiful book, thank you for writing it. Of course one of the greatest gifts is that now I can confidently recommend your book to those members and friends of the church who are dealing with loss and grief issues. As the saying goes, it is a gift which keeps on giving. Below still find an email exchange to illustrate my thoughts above. Thank you again! I am very sorry to hear about Peaches. I remember what a sweet and beautiful cat he was. I am so glad that I met him and I remember petting him, too. He was such a good kitty! I am glad that he was at home to the very end and I am sure that you miss him very much. I wanted to tell you that I just read a very beautiful book, entitled “Good Grief: Finding Peace After Pet Loss” by Sid Korpi. I think you would love this book, so I highly recommend it to you. Sid is an animal chaplain in Minnesota, and her book is a real gem for us, pet lovers, especially at the time of loss and grief. Recently we talked about creating a rock garden at the church, which would be a pet memorial. Members and friends of the church would place small rocks there with the name of their departed pet family members engraved on it. I will keep you and Peaches in my thoughts and prayers.